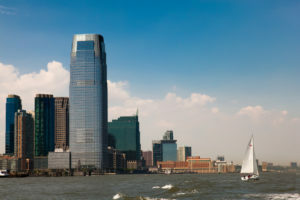 Goldman Sachs Asset Management and Hamilton Lane have tapped their secondaries funds to back a $1.35 billion spin-out from one of the world’s largest venture capital firms. The secondaries firms invested in the debut fund of NewView Capital Management, a firm formed by Ravi Viswanathan, a former general partner at Maryland-based New Enterprise Associates, according to a statement from the new firm. NewView’s first fund – understood to be called NewView Capital Fund I – was seeded with assets that NEA held. The portfolio comprises 31 stakes divested by four different NEA funds, Secondaries Investor understands. Stakes in language learning software firm Duolingo and ride hailing app Uber were among those that traded hands. The fund may also make follow-on investments into acquired companies and buy additional interests in existing portfolio companies from other investment funds. It is not clear what proportion of the $1.35 billion is made up of acquired assets and how much is follow-on funding. It is understood that Lazard advised on the deal. NEA is aiming to rationalise its portfolio of unrealised companies, which numbers in the hundreds, Secondaries Investor understands. The aim of the deal was to take a subset of this portfolio, containing promising companies that need more time and capital, put them in a separate vehicle and spin them out under the management of a senior partner. If NewView is able to manage its fund successfully, it is likely to continue as a direct secondaries firm, buying similar portfolios from NEA and other VC firms, according to a source familiar with the transaction. According to documents filed with the Securities and Exchange Commission in October, NewView’s fund purchases stakes in companies owned by VC firms that want to create liquidity at the end of their fund terms, have “orphaned” portfolio investments due to the sponsor departing the firm, or which need to reduce their number of board seats in order to focus on new investments. With its debut fund, NewView becomes one of the world’s largest direct secondaries firms. W Capital is the highest-ranking directs specialist in this year’s SI 30 ranking of the largest fundraisers in the strategy, having raised $1.2 billion over the past five years. NewView Capital did not respond to questions about the fund’s strategy.